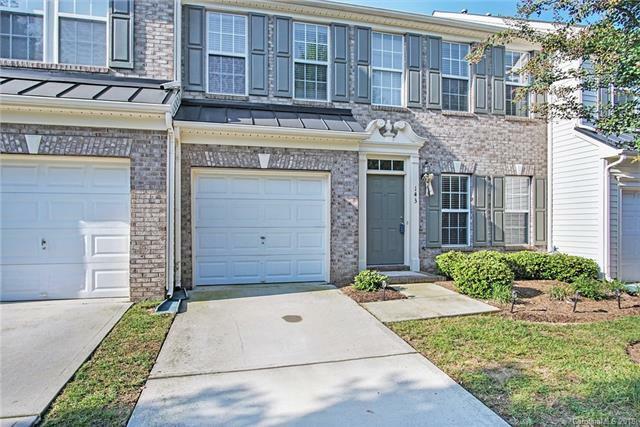 Charming townhome in Mooresville Graded School District. 3 bdrm/2.5 bath. NEW Carpet and fresh paint. 1 car attached garage with extra built in storage shelving. Kitchen is open concept to eating and living space for entertaining. Granite countertops and fridge conveys. New SS dishwasher and microwave. Formal front dining room, cute breakfast area, and bright sunroom/sitting area in rear of home-great additional space for whatever you want to use it for! Upstairs you will find 2 spacious bedrooms with new carpet and nice size walk in closets. Master has trey ceiling and 2 separate closets for his/her. Great location, easy access to I77, Hwy 150, Lowes Corp and Hospital.